Anyone who’s ever spent more than five seconds in Chicago has come away with one irrefutable nugget of local knowledge: Chicagoans love their beer. (Also: hot dogs.) And while the shift from Schlitz and Old Style has been many decades in the making, few could have predicted the massive scale of the craft beer boom over the past 10 or so years. Now with over 200 breweries and counting in the city and suburbs, here are the best Chicago brewers to crack open for a fine taste of what the Windy City has to offer -- from the big boys of craft to tiny new local upstarts you should know. Founded in 2006 well before the current craft beer craze took hold of America, Half Acre is one of the OGs of Chicago brewing and is regarded by many experts as the finest craft brewer in the city. With not one, but two breweries on the North Side (within a 10-minute drive of each other), Half Acre recently opened its massive 60,000-square-foot Balmoral facility as a testament to its increasing popularity and thirst for experimentation. Daisy Cutter (one of five year-round ales) is the beer that put Half Acre on the map, but the new digs have carved out more room for so-called “wyld beers” marked by experimentation and mixed fermentation. There’s food at the tap rooms of both popular locations and, in a sign of its ever-rising status, Half Acre even threw a massive new beer fest this fall in Millennium Park. Must-try beer: With hints of blended pine, citrus, papaya, and mango, the deliciously dank and dry Daisy Cutter remains popular for good reason. It’s basically “drinking outside on a patio in Chicago summer.” In a can. Brewing German-style beers and lagers on the North Side since 2009, Metropolitan largely flies under the radar amongst non beer-aficionados but continues to dominate as one of the most respected beer makers in Chicago. While many contemporary breweries fall over themselves trying to get your attention with the weirdest or most hop-forward beers imaginable, Metro keeps things simple with just flat-out good beer whose easy drinkability remains its finest asset. Metro’s profile has been raised slightly thanks to the recent addition of its Rockwell Tap Room, easily one of the best taprooms in the city thanks to its homey atmosphere (with reclaimed-wood tables and chairs) and floor-to-ceiling windows overlooking the Chicago River. Must-try beer: Krankshaft, their flagship Kolsch-style beer, is brewed in homage to Cologne, Germany, featuring lemony flavors and a dry, clean finish characterized by Metro’s trademark high drinkability. 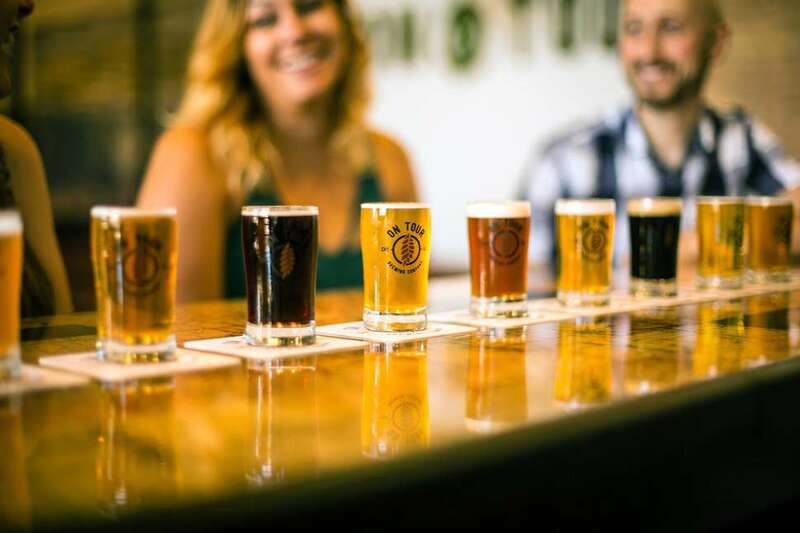 Founded as a brewpub in 2010 by former Goose Island employee and Handlebar founder Josh Deth, Revolution has helped lead the local craft beer revolution to become the largest independently owned brewer in Illinois. Picking up the mantle left by Goose Island following its sale to InBev, Rev’s massive 90,000-square-foot Kedzie facility houses a German beer-hall inspired taproom that starred in the 2013 film Drinking Buddies. Famous for its aggressive flavor profile and hop-heavy creations, Rev is known for year-round core ales like Anti-Hero and Fist City, but its popular seasonals and excellent deep wood series ales showcase its deep pool of talent. Must-try beer: For something a little different from Rev’s typical lineup, dig into their deep wood series to try the award-winning Deth’s Tar barrel-aged imperial oatmeal stout brewed with English specialty malts to create a rich, chocolaty profile with notes of vanilla, toasted coconut, and caramel candy. Most hipsters may have abandoned Goose Island since it “went mainstream” with its much-maligned sale to InBev in 2011, but the brewery that basically started the Chicago craft beer scene continues to make high-quality beers worthy of your attention. 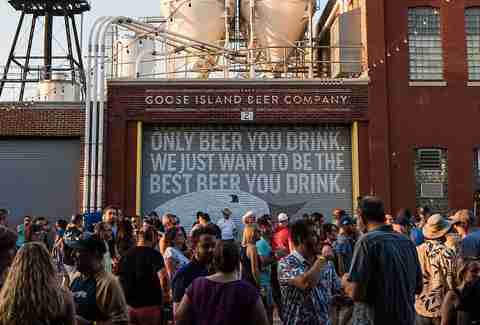 Founded in 1988 and shut out of the Great America Beer Festival for the first time last year (it is no longer considered “craft”), Goose Island continues to forge ahead by opening new brewpubs across the globe in addition to its two Chicago locations. 312 is the beer most locals know best, but Goose’s food-focused offerings like Sofia and Matilda are steadily increasing in popularity. And if you’ve ever been to a Chicago street festival, you know how well their beers pair with good times. Most-try beer: Three words: Bourbon County Stout. With thick foam the color of a bourbon barrel and an explosive flavor profile including chocolate, vanilla, oak, caramel, and smoke, this dark and dense ale has a massive cult following which may result in long wait times during its much-hyped annual release. But it’s worth it. Once regarding an insider’s secret among Bridgeport beer nerds, 2018 was a breakout year for Marz thanks to increasing word-of-mouth buzz and the opening of its beautiful new tap room which now serves as an essential beer pilgrimage site in the city. Founded by the owner of Maria’s Packaged Goods and well known for their Chicago-centric offerings like The Machine and Bubbly Creek, Marz has amped up its production as of late to feature more internationally flavored offering including the Diliner Weiss Berliner and French Kiss saison. Sip their latest offbeat ale in the art-heavy tap room space while discussing the latest Pitchfork review with a crowd of hipsters, homebrewers, neighborhood locals, and everyone in between. Must-try beer: Marz’s flagship ale Jungle Boogie is an unlikely success story. The American wheat ale blends Mosaic hops with fruity Rooibos tea flavors to produce a complex malt character that is just the right amount of experimental without being overpowering. Known for their inventive takes on the brewing process and the eccentric flavor combinations in their beers, Off Color is on the rise thanks to the relentless pursuit of excellent from its founders: former Goose Island barrel-age brewer John Laffler and Dave Bleitner, formerly of Warrenville’s Two Brothers. While the brewery has only been around since 2013, it raised its profile with the recent unveiling of The Mousetrap tap room in Lincoln Park. Highly regarded for their focus on brewing forgotten styles of ales, stop into The Mousetrap and try some of their latest (and weirdest) small-batch specials. Must-try beer: Brewed with grain and sugar to create a hazy, golden body, their popular Apex Predator farmhouse ale pairs superior drinkability with a dry finish and fruity bite. What’s not to love? While Lagunitas isn’t exactly a “Chicago brewery,” the native California craft behemoth continues to operate the largest facility in Chicago at its gigantic 300,000-square-foot Douglas Park location, which opened in 2014. 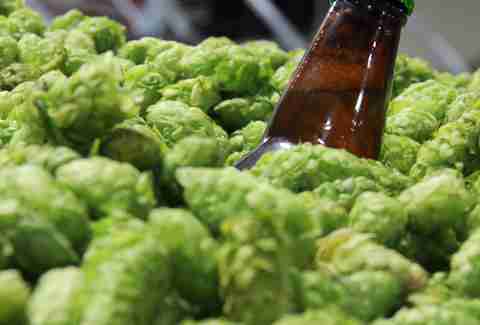 Since then Lagunitas has been fully acquired by Heineken (in 2017) and Illinois’ largest brewer is planning to open a second California brewery near Los Angeles this fall in addition to the original Petaluma location, which opened in 1994. History and expansion aside, Lagunitas remains a favorite in Chicago thanks to its famously laid-back 420-friendly vibes and ever-popular ales including Lagunitas IPA and Little Sumpin’ Sumpin. Tour the Douglas Park facility daily or stop by for live bands Wednesdays-Sundays. Must-try beer: The “something for everyone” Little Sumpin’ Sumpin’ straddles a nice line between an IPA and Hefeweizen thanks to its strong hop finish placed over a silky body that’s smooth any time of year, especially in summer. And preferably on a boat. With a hop-heavy lineup of IPAs including double, Belgian, black, and session IPAs, Pipeworks started out in a tiny Chicago space in 2012 which was originally geared towards brewing one-offs for beer nerds in the niche market. Now with a goal of releasing a new beer every week, the hyper prolific brewer is one of the more recognizable yet underappreciated Chicago craft brewers. With plans to open a brewpub in Logan Square in 2019 (where it will face stiff competition), knowing about Pipeworks still feels like being letting in on your cooler big brother’s secret. Until the taproom opens, stop by their McLean facility bottleshop (known as the Dojo) and grab some fresh beers to crack open with buds on your back porch. Must-try beer: Their famous Ninja vs. Unicorn is a full-flavored, unfiltered 16-ounce double IPA brewed with over 5 pounds of hops per barrel. It’s not for the faint of heart, and is immediately spotted thanks to Pipeworks’ mythical beer can art. While not technically located in the city (or the state, for that matter), this Munster, Indiana-based powerhouse (hint: it’s near Hammond) is most thought of as a Chicago brewer and has a strong presence in the local market to back up its cause. Founded in 1996, the iconic brewer is a magnet for accolades (its 15% ABV Marshmallow Handjee is currently rated the #2 beer in the world by Beer Advocate) with a strong portfolio of “not normal” beers packed with winners that continue to stand out in an increasingly crowded craft scene. From Alpha King to Gumballhead to Zombie Dust, there’s just no one else making beers like this. Not even close. Must-try beer: Picking just one is an extremely tough call, but Dark Lord Imperial Stout should give you a good indication of what this A-list brewer is all about. Its release on Dark Lord Day -- which is now an annual metal/beer festival -- rivals Goose Island’s Bourbon County Stout release on the beer mania Richter scale. This “little brewery that could” hasn’t even been open for two years, yet has already earned a dedicated local fan base in addition to national attention. 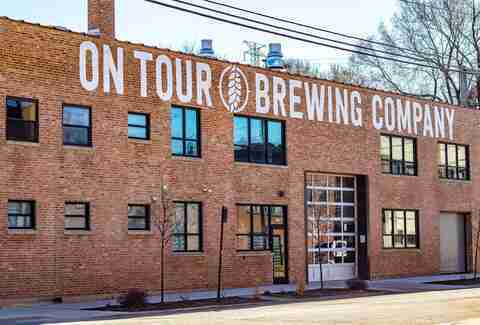 Opening in the West Loop in 2017 and taking home the prize for “Very Small Brewing Company of the Year” at the Great American Beer Festival that same year, On Tour is known for its music-inspired ales such as the Typical Daydream saison and Wake Me Up Before You Go-Go coffee stout. 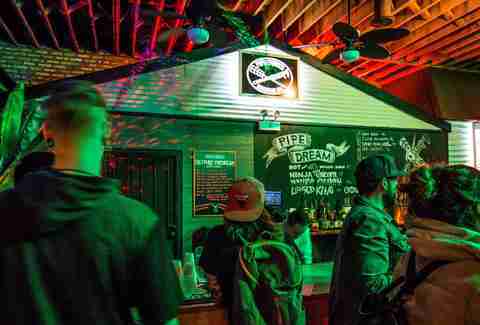 Grab one in their sunny 1,500-square-foot taproom, where they have live bands and comedy, yoga, weekend food trucks, party buses to local Phish concerts, and 32-ounce to-go mini-growlers they call crowlers. Must-try beer: Aging in bourbon and rye barrels for 18 months and made with Bow Truss coffee, On Tour’s Wake Me Up Before You Go-Go coffee stout is a full-flavored beast of a beer punctuated with just the right amount of coffee and bourbon notes. Jay Gentile is a Thrillist contributor and he may or may not have written this with a beer in hand. Follow @thajaygentile.